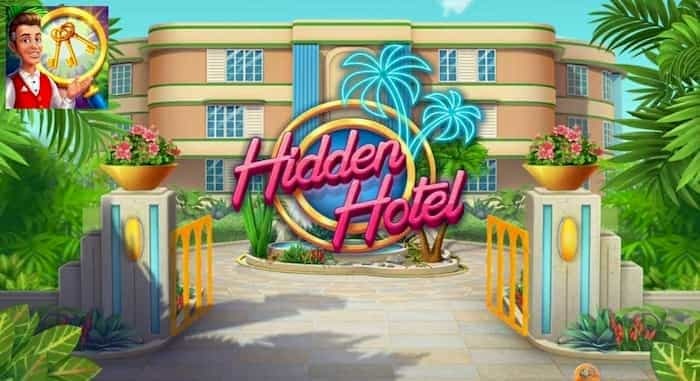 If you can’t decide between downloading a hidden object game or a renovation focused game, kill two birds with one stone by downloading Hidden Hotel. In Hidden Hotel you’ll get to play as the heir to a hotel, with a mysterious past. As you play through each chapter, you’ll get to discover the secrets of the hotel which you inherited from your deceased hotelier grandfather. 1. Thousands of unique objects to decorate your hotel with. As you renovate the rooms in your hotel, you’ll get to decorate your hotel with unique objects, that will totally change the look and vibe of your hotel. As an example, you’ll be able to give your hotel a retro 1970s vibe or you can choose to give your hotel a more modern, minimalist look. Hidden Hotel offers a captivating storyline, which will have you hooked, after a couple of chapters. As you progress through Hidden Hotel’s chapters, you’ll discover more clues, that will help you uncover more information about the history of your hotel. As an example, you’ll get to learn some of the personal stories of some of your hotel’s past guests. 1. Be prepared to play some levels multiple times. While you may be tempted to quickly play through as many levels as you can, in as short a time period as you can, in order to get a 10 star rating on each stage, you may need to replay some levels multiple times. Especially as you progress through the game and face harder, more challenging levels. 2. 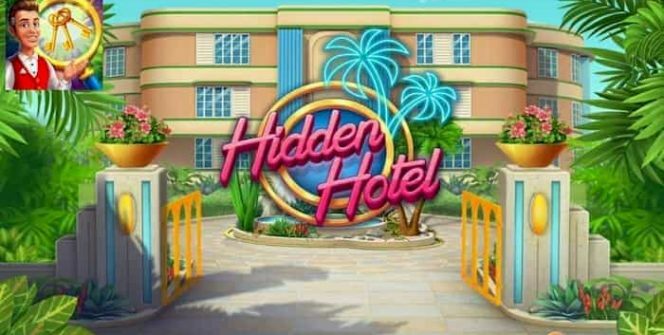 Return to playing Hidden Hotel multiple times per day. As your energy bar will deplete every time that you play a level, it’s a great idea to return to Hidden Hotel multiple times per day. 3. Complete as many tasks as you can. If you become addicted to Hidden Hotel and can’t fathom waiting for your depleted energy bar to fill back up again, you may be able to earn extra energy for completing as many tasks as you can. As a bonus, not only can you earn free energy for completing set tasks but you can also unlock special rewards such as rare decorative items. 4. Consider joining a club. Clubs are Hidden Hotel’s alliances. What are some of the benefits of joining a club? Once you’ve successfully joined a club, you’ll be able to ask your club members to send you energy. One way to persuade your club members to send you energy, is to help them out and to send them power ups and energy, so that they’ll want to return the favor. 5. Exchange some of the coins that you’ve earned for extra energy. In order to keep playing Hidden Hotel, when your energy bar is depleted, you can also exchange some of the coins that you’ve earned for extra energy. 6. Use boosters to help you pass challenging levels. If you’re having a hard time finding objects in a limited amount of time, simply use a booster to add 45 seconds to your game or to help you automatically find three random items on your list. 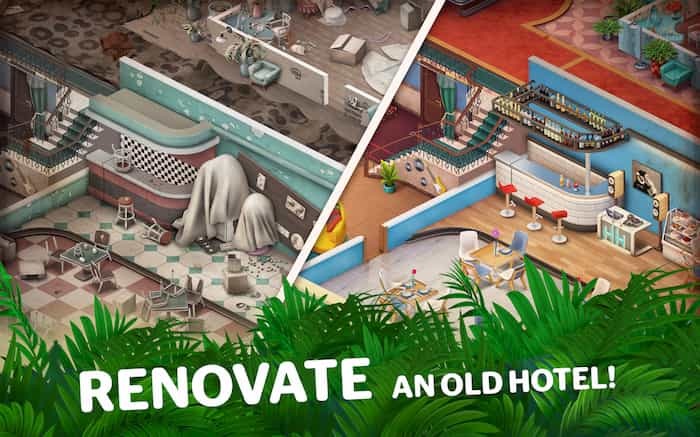 So if you love the idea of uncovering the mystery behind an old hotel and enjoy hidden object games and decorating games, simply download Hidden Hotel today. In order to discover the fascinating history behind your character’s grandpa’s old hotel. Sometimes when playing Hidden Hotel, bluestacks ask you fee to pay but gives you option to download some apps. Every time it asks you just select “Install apps” and continue using it free. I hope you enjoyed this article, please rate and share. If you have problems running Hidden Hotel on your desktop or any other issues, leave a comment below.